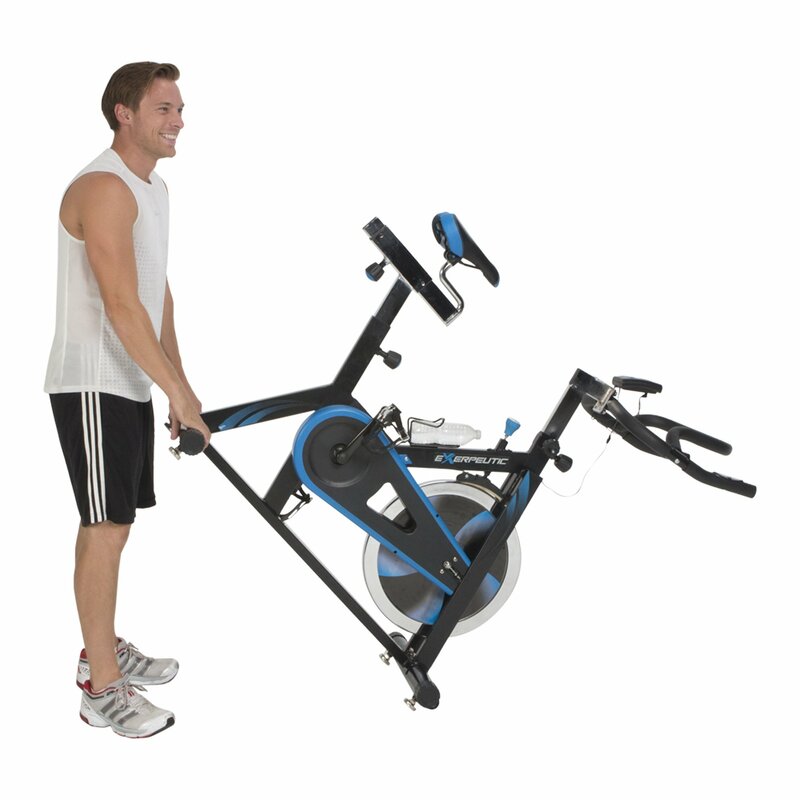 The Exerpeutic LX7 Indoor Training cycle is an indoor cycle that supports a wide array of desires. The LX7 can be used to fulfill one’s desires to burn some fat, lose some weight, or build some muscle. The LX7 has many characteristics such as a well-lit electronic LCD display for easily seen and alterable settings and display and a heart rate sensor to gauge the intensity of the workout. The LX7 is priced at approximately $208.42 on Amazon with free shipping for customers that don’t have prime. The LX7 is a quintessential product for biking fans or just for people who prefer it over a “mundane” treadmill run. An electronic screen for an easy to see display. “Infinite” levels of resistance to fulfill one’s desire for appropriate levels of intensity. A way to measure heart rate in order for the user to gauge how intense his/her workout is. 4 way adjustable seats and handlebars. Appropriately sized for easy caching. The Exerpeutic LX7 Indoor Training Cycle allows one’s fitness goals to stay fulfilled. The foundation of the machine is of premier standard. The LX7 is designed for a smooth, comprehensive exercise and even testimonials have stated that it’s smooth and extremely stable. One reviewer stated that although the labels said that its weight capacity is only 300 lbs, it feels as if it could support 350 due to how stable it is and the high quality of metal. In addition, the product is also very easy to lift and very minimally sized, allowing the consumer to store it easily. The LX7 weighs only 90 pounds which entails that it could easily be moved by one or two people. The length, width, and height of the LX7 are 47 x 20 x 49 inches which means easy storage. The cycle also had handlebars and seats that could be altered for one’s preference. There are more than one handlebar positions and the LX7 has many different seat adjustment positions as well, so the user can concentrate more on his/her workout rather than trying to be comfortable the entire time. The seat is also cushioned ergonomically that adjusts forward, backward, up, and down. The handlebars are covered with foam, and also have three locking positions that go up, down, forward, or backward. In addition, aluminum alloy covers the Toe Cages which allows for an extra forward and secure leg thrust on the equipment. The electronics mechanics of the cycle is also of premier standard. The LCD display allows for the user to see and change the preferences so that the appropriate alterations can be made. If the user wants the resistance to be changed or if (s)he just wants to check on his/her recorded data (whether it’s calories, distance, time, or speed), the LCD display lets the user do so with ease and control. There are also “infinite” calibers of resistance which entails the user having full discretion over how intense (s)he prefers his/her workout to be. The heart rate monitor is also displayed on the screen, so the user will know if (s)he is straining him/herself too much or too little. All data is displayed LCD screen, so the user is constantly updated. The faults for the Exerpeutic LX7 Indoor Training Cycle are also relatively pervasive. Reviewers have stated that the foundation necessitates revamping. One testimonial stated that the LX7 is also very loud with very pervasive gyration which implies that the structural integrity of the bike may need some modifications for it to be at an optimal level. Another testimonial had stated that the LX7 has a rather inaccurate display monitor which means that the user may want to keep all her data recorded separate depending on how inaccurate they gauge the data to be. An additional fault to the LX7 is the range in which the handlebar and seat can be adjusted. The bike is only optimal for people who are between five feet, one inch tall and six feet, two inches tall leaving a very small margin of people who can actually effectively use the indoor cycle. The bike also does not come with any preset workouts which implies that the user will always have to manually adjust the settings his/herself in order to accommodate for her/his own desires. This Exerpeutic Indoor Training Cycle is a premier bike that does give the user a lot of discretion and control over his/her own workout. The merits of the cycle are what allow the users to find the product to be enticing. The LX7 not only allows the users to work out in the comfort of his/her home, but the user is given full discretion over how hard the workout becomes. There are clearly faults that should prevent people of a certain kind from purchasing the cycle, but if an individual were to do a cost-benefit analysis of the product, it is easy to draw the conclusion that the merits outweigh faults. 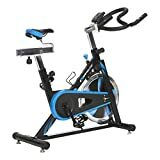 If one were to train more professional and intensely rather than casually cycle, then perhaps the Diamondback Fitness 510Ic Indoor Cycle is a product to suit your needs more. If one wanted the LX7 with more easy seating adjustability and discretion, then the Sunny SF-B1001 would be the better choice. If one finds that the LX7 fits his/her fitness desires the best, then the price would totally be worth it!